What’ve they got to be unhappy about? All Rights Administered by Sony/ATV Music Publishing (ASCAP). 1. Museum – After seeing Van Gogh’s paintings in Amsterdam, I read a couple of books about him. In a roundabout way that inspired me to write this song, which isn’t about any particular artist as much as it is about all artists. 2. Circus Girl – Of all the songs on the album, I think this one is my most favorite of all. I wrote it after I’d taken my daughter to the circus. I’d thought, ‘Wow! She’s really gonna get off on this.’ She thought it was okay, but I was the one who was totally entranced by the whole thing. I loved it! The tawdry glitz of show business and dirt. Obviously, it’s not about the circus at all. It’s a metaphor for my life and the entertainment business. It’s about what’s underneath the facade. 3. Like Water Into Wine – I love a lot of the imagery from the Bible—it’s also rich in metaphors, which is the stuff songs are made of. I wanted to write this as a love song on a larger scale; sort of looking at the loss of a love in relation to the bigger picture—who we are, why we’re here and how we ought to treat each other. These two people are in a lot of pain, trying to do the right thing, and trying to find some comfort at the same time. 4. Souvenirs – I have a love / hate relationship with tacky souvenirs. On the one hand, they reduce the most meaningful icons of our culture to cheap plastic. Still, I am drawn to them, especially the most ridiculous or irreverent ones. Sometimes I think the worst thing that could happen would be for whoever makes these things to suddenly acquire some taste. Souvenirs is the oldest song on the album, written in 1991. I’ve played it live for years, but just never got around to recording it. It’s half social commentary and half love song, but in either case it’s about the desire for authenticity, for something real. 6. You Don’t Even Know Who I Am – Unlike most of the songs I’ve written, this one was written in one sitting. It was a bone-chilling winter day, and I was sitting at home on the floor with my guitar, where a thin beam of sunlight was coming through the window. I sat there and wrote the whole thing. The chorus came like a gift. I think the thing I was proudest of was that it wasn’t one-sided; like most relationships that break down, there are two stories going on. 7. The Secret Of Life – When I wrote this song in the mid-90s I really felt I had come up with something different. Musically it was not your standard 1/4/5 fare (although it reverts back to a pretty common progression in the chorus), and certainly it was not your typical country music lyric, either. After it was released as the title song of my first album, Faith Hill came along and recorded the hit version. I was surprised, to say the least. 8. Revival – I wrote this in Seaside, Florida, where there really is a Tupelo Street. Although it’s obviously a sad love song, I think of it more like a prayer. After all the songs about disillusionment and treachery, I wanted this bit of hope to be the end of the album. 9. Over Africa – This is a very big song. The impetus was the idea of Africa. That seemed so rich! But it’s not really about Africa at all…Really, it’s that I don’t like to write love songs; they bore me. A great love song, to me, is about something bigger. So this song was intended to be something primal, from a deep cell depth love that a mother would have. That seemed to go along with the idea of Africa, the mother of all homes. This was a record from conception. It’s a real percussion-driven song, which I think I got from listening to Peter Gabriel, because I tend to be more word-driven. In fact, it’s the most fun work tape, because I took every percussion instrument in the house and taped it to every part of my body. Then I just shook everything I had to set the mood. 10. This Used To Be My Town – This started out being about my hometown in New York. All the images are from my memories there. Somewhere along the way, the girl in the song appeared. During the summer of Elizabeth Smart and a seemingly endless stream of young pubescent girls who disappeared into thin air, this girl appeared in this song, and this is her story. 11. American Tune – I’ve always loved this song by Paul Simon – I think I first sang it at a First Amendment Center concert in Nashville, and it just stayed in the set list after that. The imagery is beautiful, sad, and – although it was written in the wake of the Vietnam War – too, too timely. 13. When You Are Old – It was a real dance between the piano and the vocal, and yes, I stole the title from the W.B. Yeats poem. But this has a different slant. It’s about commitment and staying together until the end. I wrote it right after I found out a real close friend had been diagnosed with AIDS. Those sorts of things can create such bonds of closeness. Making up for time lost with record label wrangles, Peters quickly follows up third album Halcyon with this stunning live set, recorded at the Glema Mahr Centre for the Performing Arts in Madisonville, Kentucky. Joined by Barry Walsh on piano (very Roy Bittan) and bassist Dave Francis, it’s an uncluttered, pure and achingly lovely stripped down collection of 13 songs about love, loss and leaving, the melancholy veined with a spiritual conviction that inner strength will prevail. All of her three albums are represented here. Her overlooked debut, The Secret of Life, leads the count with four songs, the affirmations of constancy that are Over Africa and When You Are Old, the heartbreaking Circus Girl with its lonely narrator, and On A Bus To St. Cloud, the classic lament for lost love that provided a hit for Trisha Yearwood but which has never sounded as achingly exquisite as it does here. From the self-titled album comes Souvenirs, her ‘little travelogue across America’ where she finds the promised land littered with “little tin toys that fall apart”, gospel hued forgiveness plea Revival, and Patty Loveless hit the female coming of age Like Water Into Wine. And from Halcyon, arguably her best studio album and most potent collection of songs to date, comes the set opening Museum’s wistful tale of turning a broken heart into a work of art and, perhaps her finest. most emotionally affecting work, the devastating This Used To Be My Town narrative about a murdered girl’s ghost returning to where she once lived. For fans who’ve longed to have Peters’ own versions of songs she’s written for others but never released herself, the show also features her own previously unrecorded versions of You Don’t Even Know Who I Am, the tale of a broken marriage seen from both perspectives and covered by Patty Loveless, and, a 1998 Top 5 hit for Faith Hill, a playful The Secret Of Life where a couple of guys in a bar agree that a decent cup of coffee and Rolling Stones records make life worth living. Which leaves Main Street, a resonant and reflective account of a town dying since the advent of an out of town shopping mall and freeway, has only previously appeared on the bootleg Buried Treasures, and the only cover in the set, her superb interpretation of Paul Simon’s American Tune, a song she says she rediscovered in the aftershock emptiness and search for comfort of 9/11. As an artist in her own right, her name may not be as widely known as those who have benefited from her songs, but if proof were ever needed that this other GP is one of the most gifted songwriters and performers in America then this has it in spades. Acclaimed, award-winning singer-songwriter Gretchen Peters is set to tour the UK again this autumn, so the release of this live album is timely. Recorded at the Glema Mahr Center for the Arts in Madisonville, Kentucky, with the basic, but very sensitive accompaniment of Barry Walsh (piano, vocals) and Dave Francis (acoustic bass, vocals), the CD has been available for some time via Gretchen’s website. 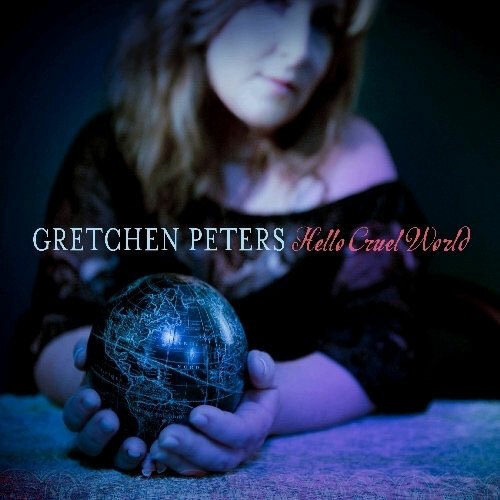 Artists including Faith Hill, Bonnie Raitt, Martina McBride, Etta James, the Neville Brothers, Bryan Adams, Patty Loveless, Billy Ray Cyrus and Neil Diamond have recorded her smart, introspective songs, but for me, it’s always good to hear the writer perform their works, especially when they possess the interpretative powers that Gretchen has. Comprising a dozen classic Gretchen songs, plus a great rendition of Paul Simon’s American Tune, this whole CD sees the incisive singer-songwriter at a peak of melodic, immaculately-crafted brilliance. Tracks such as the Patty Loveless hit Like Water Into Wine, the poignantly reflective Main Street and This Used To Be My Town are fine-cut gems of contemporary rootsy songcraft, tastefully performed, with the kind of memorable tunesmithery that lingers long after each song has ended. Sometimes music cuts deeper than mere words, this is very much the case with the closing When You Are Old. A stunning album that still makes sense, even if you have all of Gretchen’s studio albums. The trio in the title of this live recording, captured last year in Madisonville, Kentucky, refers to the contributing players: Gretchen Peters (vocals and guitar), Barry Walsh (piano and backing vocals), and Dave Francis (bass and backing vocals). Walsh has played on all of Peters’ official solo releases, while Francis appeared on Gretchen Peters and Halcyon. Their input on Trio is substantial yet discreet, allowing Gretchen’s lyrics to have maximum impact on the listener. Born in New York State in the late 1950s, Peters was a popular club performer in Colorado long before she settled in Nashville in the late 1980s. Early in the 1990s she scored her first Country chart-topper when George Strait covered “Chill Of An Early Fall,” and more hits, CMA Awards, and Grammy nominations followed. Her debut album, The Secret Of Life, surfaced in 1996 and her second (eponymous) and third CDs were sustained by high-quality left-field songs. Halcyon came out in 2004; despite the familiarity of the material on Trio it is a major treat that one year on from Gretchen’s third studio release, we have these songs stripped bare in concert interpretations, since Peters possesses an edgy singing voice that will break your heart as easily as her stories and lyrics. Trio would be a sort of greatest hits collection, except that to do Gretchen’s song catalogue justice the reality would have been a multi-disc set. Peters opens here with “Museum,” the closing cut on Halcyon. It’s the tale of an artist’s masterpiece “hanging on a wall in a museum,” and the lyric cross-references a number of well-known paintings. A woman’s life on the high wire unfolds to reveal loneliness – “It’s just that sometimes I get so tired/Of goin’ nowhere on that little wire” (from “Circus Girl” on The Secret Of Life). In “Like Water Into Wine” from the first CD, the female narrator comes of age. Tales from small American towns and the roads that connect them have been a rich source of material for Peters and a handful of them feature here. “Souvenirs,” which opened Gretchen Peters, finds the lovelorn female narrator setting out “like Kerouac in my American car.” in search of the promised land, only to find it littered with tourist traps that sell “little tin toys that fall apart.” Once upon a time “Main Street” was a bustling thoroughfare, but the arrival of an out-of-town mall and a freeway find the narrator commenting upon the silence that now pervades the place: “I listen for the rhythm in the heart of this old town/I listen for the slow and steady beat” — and the sight of a row of empty and boarded store-fronts only confirms the inevitable. As much as it is a sad song about an era now largely lost to Mall America, it is also a celebration of times now consigned to history. In that regard, “But he remembers how it was in 1945/When they marched out all the boys who made it home alive” and “There’s the corner store where I discovered Rock ‘n’ Roll/So many years before” honour that past. 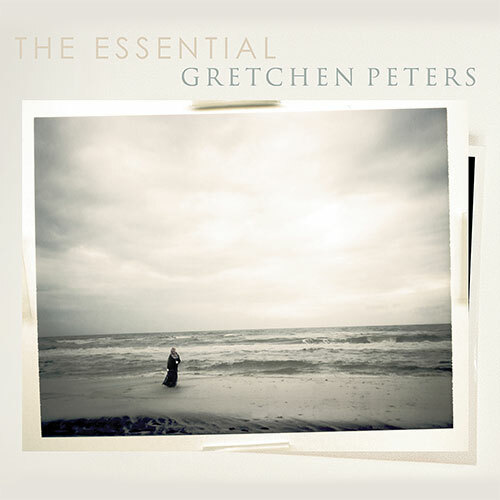 “Main Street” previously appeared on the Gretchen Peters bootleg recording Buried Treasures. Trisha Yearwood’s single “On A Bus To St. Cloud” was covered by Jimmy LaFave’s cover on Texoma , while Gretchen’s own version appeared on her 1996 debut. For almost a decade this wonderful character study has been a favourite of mine – “On a bus to St. Cloud, Minnesota/I thought I saw you there/With the snow falling down around you like a silent prayer” are merely the opening lines, and I’ve already got chills. Furthermore, it’s a travelogue that mentions all three coasts, it’s also a song about lost love, and is easily the equal of, for instance, Paul Simon’s “America.” Patty Loveless scored a #1 Country hit in 1996 with “You Don’t Even Know Who I Am,” the tale of a wife who had decided to leave her husband, and the song gained Peters her second Grammy nomination. In 1998 Gretchen scored a Top Five Country single with the title song of her debut album, albeit sung by Faith Hill. Subjectively, “The Secret Of Life” features the philosophical exchanges between Sam, the barkeep at the Starlight Bar, and a “couple of guys sittin’ around drinkin’.” The Gospel-tinged “Revival” opens on Tupelo Street and takes the seeking of forgiveness as its theme. 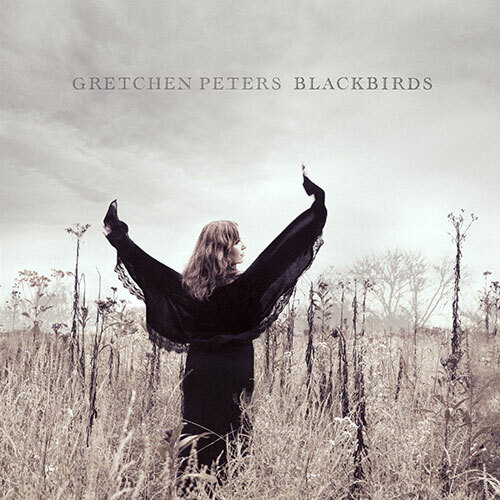 Initially a cut on Gretchen Peters, it recently reappeared on LaFave’s Blue Nightfall . The love song “Over Africa”, from The Secret Of Life, features superb piano support from Barry Walsh, including a pounding solo at the close of the cut. The narrator in the finely observed “This Used To Be My Town,” from Halcyon, has passed away and in the process of passing over reflects upon the innocence of her early years, the loss of that innocence, and in the closing verse finds herself “flying through the clouds white as snow.” Introducing Simon’s “American Tune,” the only cover on Trio, Gretchen recalls that shortly after 9/11 she found solace in its lyric. The album closer, “When You Are Old,” another song from The Secret Of Life, has been covered by Martina McBride, and is subjectively self-explanatory by its title alone. That said, the lines “When your body aches with cold/I’ll warm your heart when you are old/Any you’ll still be the same to me/A comfort and a mystery” perfectly capture, with insight, a stage of life that Peters still has to reach. If you’re not familiar with Gretchen Peters’ oeuvre, Trio is a perfect primer, and one that will have you hooked partway through the opening cut. Arthur Wood is a founding editor of FolkWax. The foregoing review appears in the free, weekly, online folk magazine Folkwax.